Whether you watch the TV or hit the town, dressing the part is the first order of business. Visitors will be coming from all over the world and sporting their Olympic finery. As a Canadian you want to show your Olympic Team Canada spirit when you watch the games or visit the Olympic sporting events and venues. Paint the town red! Here are some ideas that won’t break the bank. * Dig through your Canada day gear. Do you have Canada t-shirts that can be layered over long sleeved white or red shirts, Canada pins, hand-held or larger Canada flags, Roots wear that says Canada or Vancouver and other similar gear? * Aim for red and white clothing. If all else fails wear jeans with whatever red and/or white fabrics you can find. * If you really want to break away from the red and white theme, try Aritzia’s Park Life clothing including hoodies, t-shirts and bags. They highlight Vancouver 2010 in bold, but feature grey, blue, pink and green fabrics. 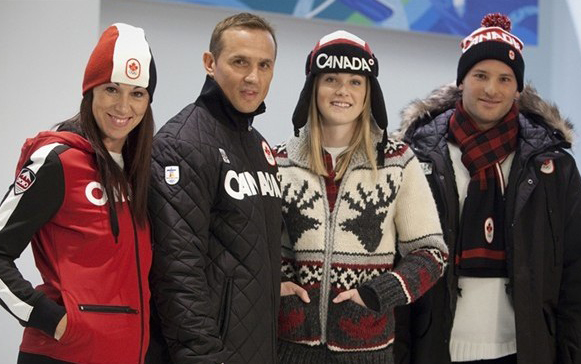 * Retro ’50s winter wear is appropriate as it matches some of the themes used for the Olympic Team Canada gear. 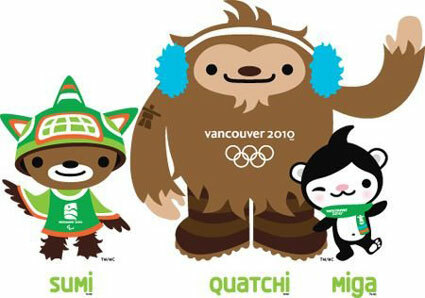 Think tuques, long warm scarves, lumberjack print tops, Cowichan sweaters and don’t forget your Olympic mitts. If you plan to be outside for an extended period of time, layer a waterproof Gortex like outer layer over warm and moisture absorbent inner layers (such as polar fleece and cotton or silk). A warm hat and mittens will protect you from potentially damp and chilly air. Wear comfortable and waterproof shoes. * The red Olympic mitts – at $10 – are the most cost effective and cheerful of the Olympic souvenirs. Proceeds from sale of the mittens go to charity. Additionally, sale of any plush toy sporting the red mittens results in one dollar going to charity. If you cannot find any mittens where you are, head to the main Bay downtown or the well stocked Olympic store at the airport (reachable via the new Canada Line). 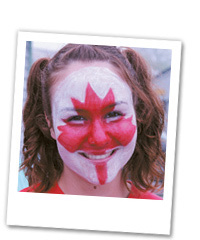 * Buying Olympic clothing from the Bay is your best option for choice, although many of the souvenirs are pricey. A $20 t-shirt is the most reasonable choice. Souvenirs and clothing are also available from the official Winter Olympics store online. 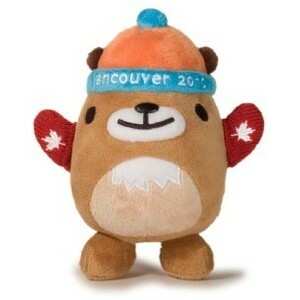 *For the younger set in your house a plush Olympic mascot is a cute accessory, although once again a pricey one. It is, however, possible to purchase a four pack of smaller mascots from the online Winter Olympics Store, The Bay or stores such as Shopper’s Drugmart. These plush mascots are truly adorable and are a great collector’s item for your child.